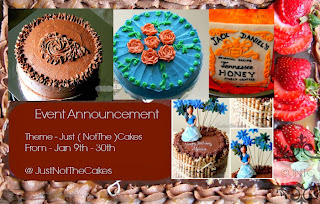 For this month’s baking partner , we have choice to choose from the two given cakes . I choose the lemon chiffon cake which was suggested by saraswathi of sara’s kitchen. Happy to announce that this month was the anniversary to the baking partner group. Chiffon cakes are foam cakes , airy and pillowy texture and combine richness of a butter cake with lightness of a sponge cake , that are leavened primarily with beaten egg whites , just like angel food cake. Infact they are similar in appearance to angel food cakes and are usually baked in the same type of tube pan. Chiffon cakes , contain both egg yolk and vegetable oil . 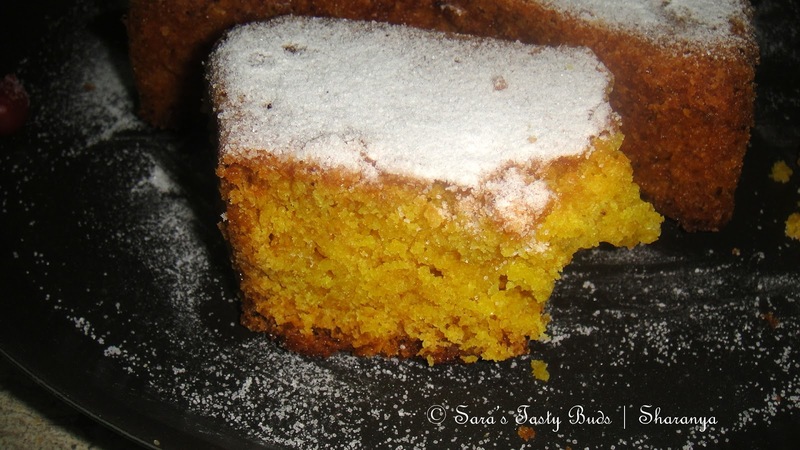 These two ingredients keep the cake moist , soft and tender and result in a cake that tastes great and keeps well. 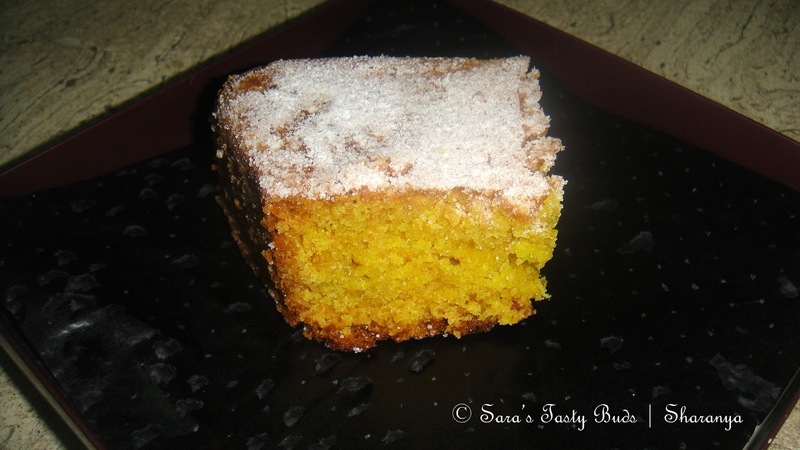 I made this cake as eggless , it was moist and airy too. Even refrigerated , the oil in the cake remains soft and makes it much more tender and contains less amount of sugar than angel food cake. 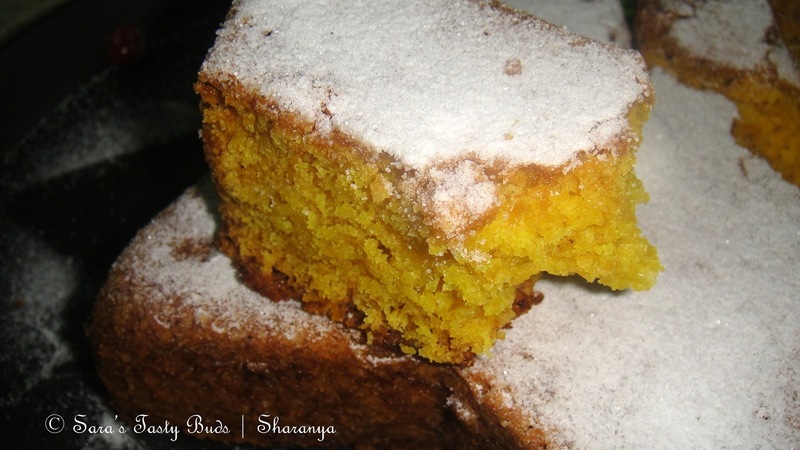 Because of the lower fat level than butter cake and less cholestrol and saturated fat , everyone like to have this guilt free cake without any hesitation. 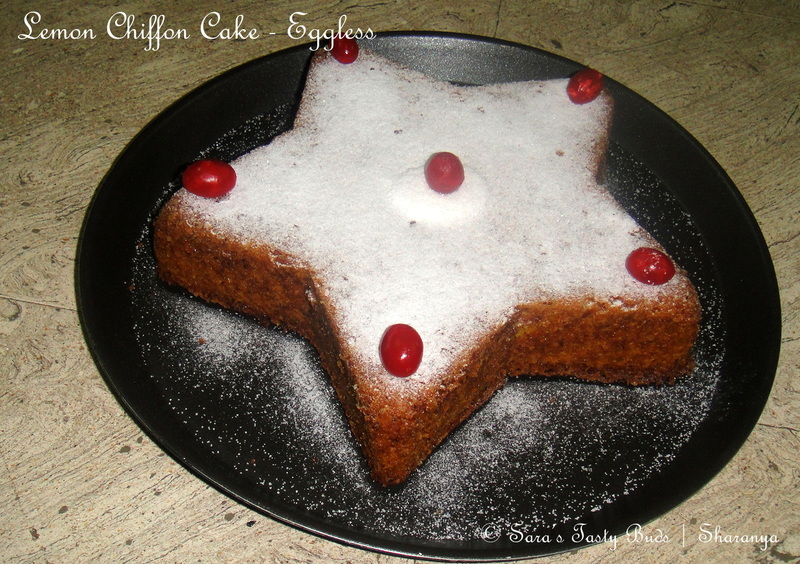 The chiffon cake was created by Harry Baker , a Los Angeles insurance agent in , 1927. Baker carefully guarded his secret technique for almost two decades, only selling his cake to celebrities and the famous Brown Derby restaurant. The popularity of his cakes grew quickly , and he eventually sold the recipe to General mills in 1947. Now , Mr . Baker had two big secrets with his chiffon cake recipe. The first is that chiffon cakes use oil instead of butter , which aides in the airy quality of the cake. 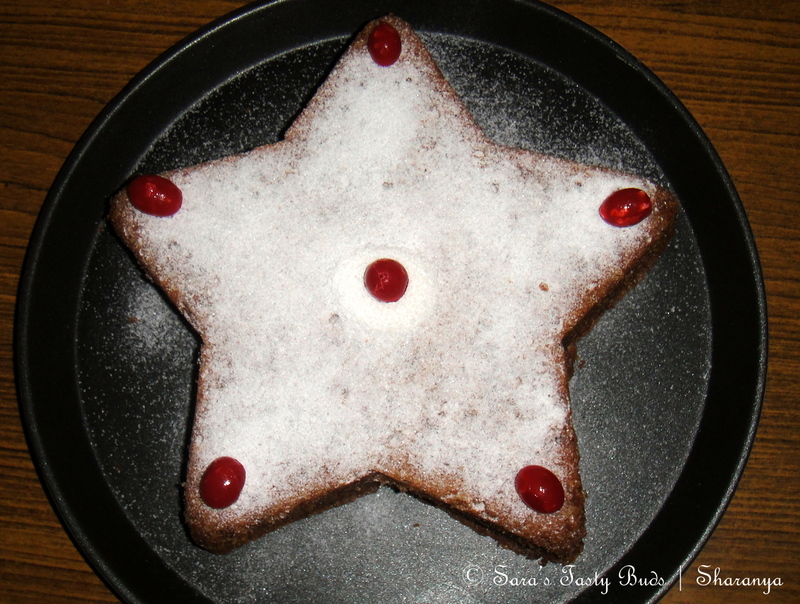 It is also nice because the cake can be refrigerated without firming up. The second secret of the chiffon cake is to whip the egg whites separately from the yolk and to fold them ever so gently into the batter .Actually , my sister made this cake on my birthday.......... Thank you sis for this delicious cake.......... . 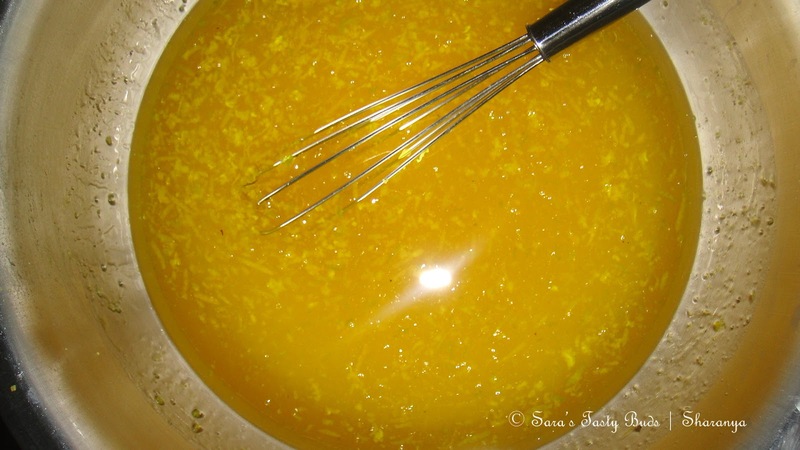 In a bowl , mix the sugar and lemon zest together , until the sugar is grainy and aromatic. Add in the maida , corn flour , baking soda , salt and mix well. Make a well in the center and add the canola oil , water , lemon juice and vanilla essence. 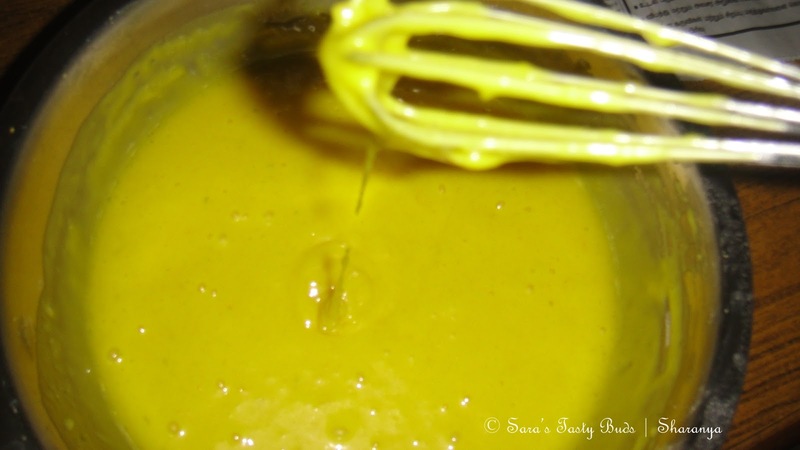 Fold in together to form a smooth batter. Pour the batter into the greased pan and bake in the preheated oven @ 220 * C for 20 minutes or till the inserted tooth pick comes out clean. 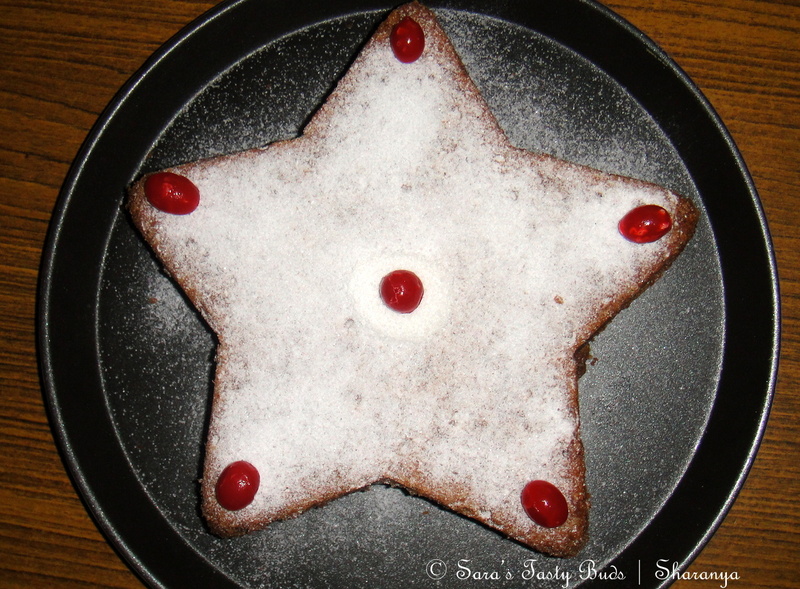 Once it is cool , turn upside down and sprinkle icing sugar on top. Eggless lemon chiffon cake is ready to serve. Each one of the cake I have been seeing stands out in its own ways and your is another stunner. Just love the shape and the simple deco. 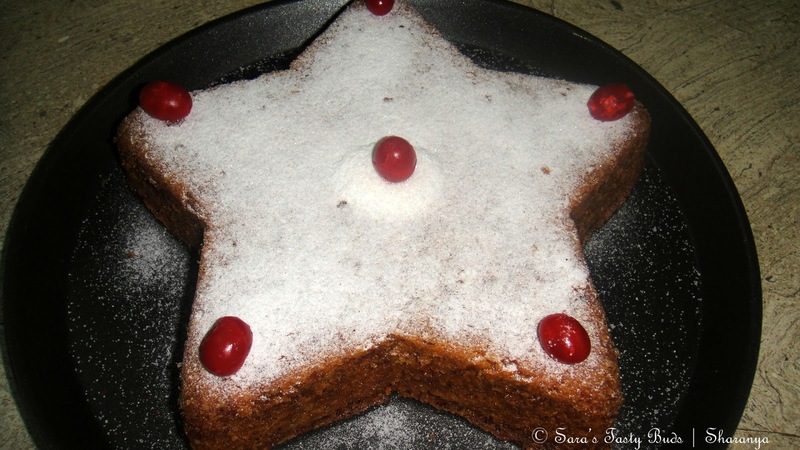 Looks so moist & tender.. Love the way u have made it into a star shaped one ! 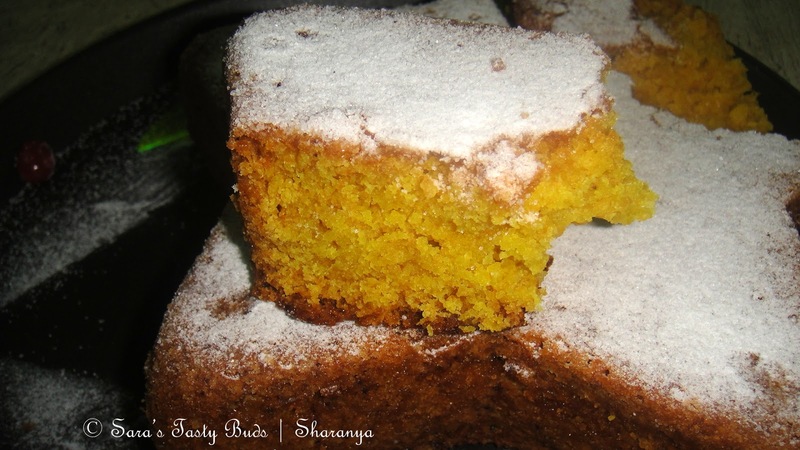 Eggless chiffon cake looks delicious Love it sharanya. Hi, I just read about you in Priya's blog. I am amazed at your zest for cooking such a variety of things and also at your equally amazing baking skills. 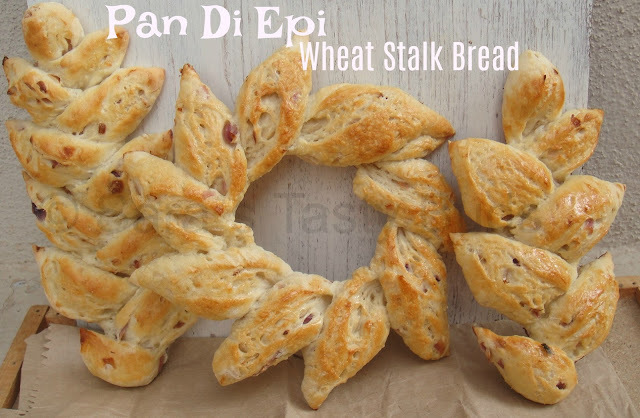 There are a lot of traditional recipes in your blog. I used to read your name in many contest and you've won a lot of them too:) I've seen your multiple entries in a lot of events. It was nice knowing about you in detail. Cheers! 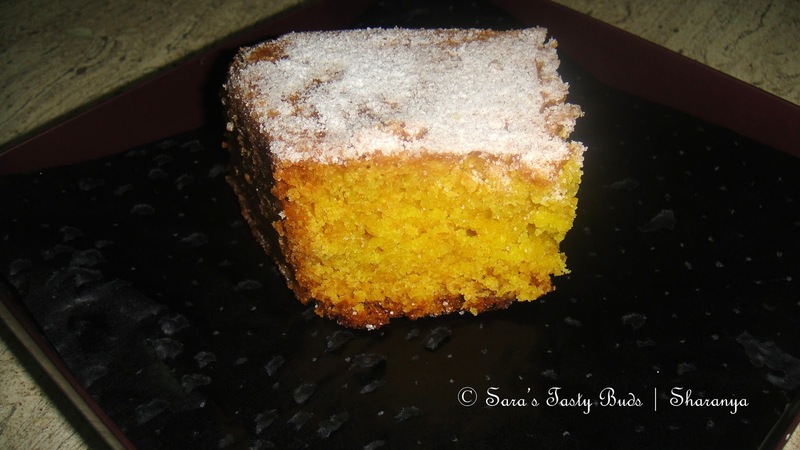 I was loking for some cake recipes and landed in our blog .Hmm very moist one. let me try some ?